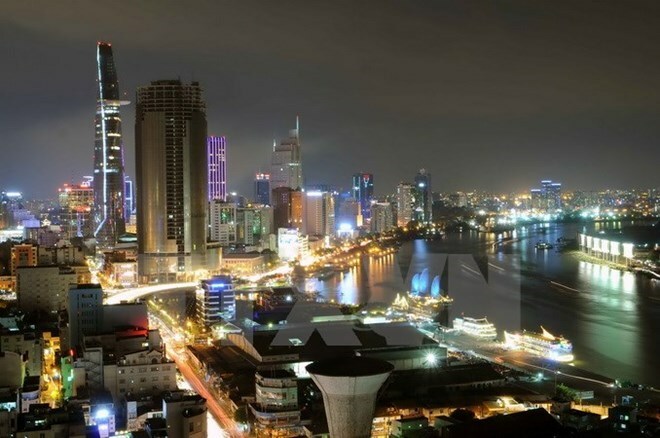 HCM City (VNA) - Ho Chi Minh City will become the second fastest growing economy in Asia by 2021, according to a study by the UK-based Oxford Economics, reported Bloomberg. In the next five years, HCMC's economy is expected to grow by 8 percent each year, according to the study, which ranked Asia's 30 largest cities, Bloomberg cited the study as saying. The ranking has reflected the city’s success in establishing itself as a manufacturing centre, as well as its strong services sector, according to Bloomberg. In January, Chicago-based financial and professional services firm JLL ranked HCM City as the world’s second most dynamic city, after India’s Bangalore. The city was categorised as a high potential city driven by low costs, rapid consumer market expansion and high levels of foreign investment. In the first half of 2017, the southern economic hub attracted 2.15 billion USD in foreign investment, double the amount it received in the same period last year, data from the Ministry of Finance showed. According to the report, Delhi will have the fastest growth of any city in Asia. Following HCM City, other Indian cities, including Chennai, Mumbai, Hyderabad, Kolkata and Bangalore, are set to expand the most across the region.